The Nissan Murano wasn’t one of the first crossovers on the market nor is it one of the segment’s top sellers, but since its introduction in 2002, it has always been proof that crossovers don’t have to look cute or boxy. 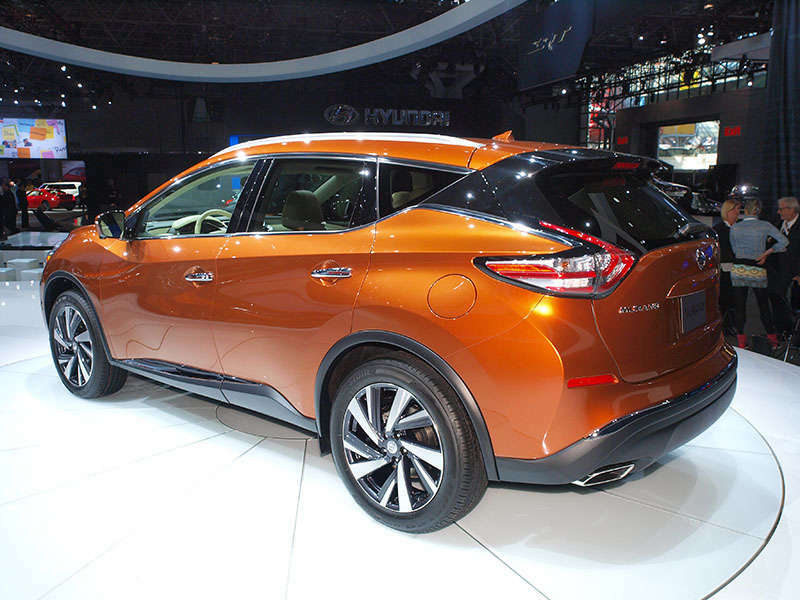 For 2015, there’s more of the same in store for the mid-size crossover as Nissan unveiled the third-gen Murano ahead of its official debut at the New York Auto Show. Nissan previewed the 2015 Murano with last year’s Resonance Concept, and it carried over most of the concept’s styling cues to the production design including the blacked-out D-pillars, which give the roofline a tricky reverse-cantilever look. Large front fender arches, deep body creases and the boomerang-style headlights and taillights help ensure that the new Murano continues to boasts one of the boldest designs in the Nissan lineup. As much as the Murano’s styling stands out in the Nissan lineup, the V-shaped grille makes it look right at home against fellow utility vehicles like the Pathfinder and Rogue. This signature V shape is carried over into the cabin as the metallic trim encases the center stack. 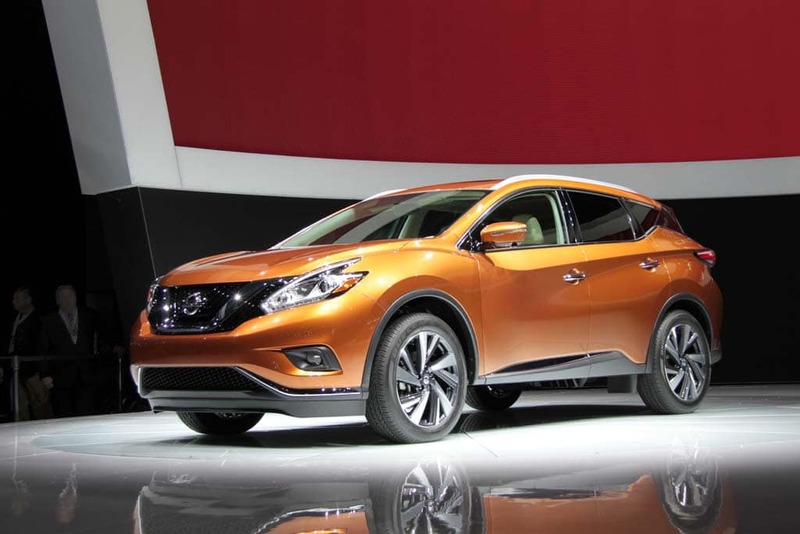 Initial images of the 2015 Murano show a more upscale cabin than the current model with a light wood grain trim, a wider center console with dual armrests and a panoramic moonroof. With the Rogue growing in size, the Murano was also able to add some extra room for its five passengers. There is also new safety technology available on the Murano--features like blind-spot monitors. Under the hood, the Murano carries over Nissan’s proven 3.5-liter VQ-series V-6, which still produces 260 hp and 240 lb-ft of torque, and it sends power to the front wheels through a CVT; all-wheel-drive remains an option. Although pricing has yet to be announced, Nissan says that the 2015 Murano will see its production move from Japan to Canton, Mississippi and sales will commence during the fourth quarter of this year.